Trauma disorders are mental health conditions that are caused by a traumatic experience. Trauma is subjective, but common examples that may trigger a disorder include abuse, neglect, witnessing violence, losing a loved one, or being in a natural disaster. Trauma disorders cause extreme fear, anxiety, depression, outbursts, flashbacks, and other symptoms that can cause significant impairment. Trauma disorders can be treated and symptoms managed with specific types of therapy along with medication. What is a Trauma Disorder? Trauma disorders are grouped together in the Diagnostic and Statistical Manual of Mental Disorders (DSM-5) as trauma- and stressor-related disorders. These disorders are similar to each other in that they are all caused, triggered, or worsened by a traumatic event or experience. Trauma disorders cause fear, extreme anxiety, stress, depression, and other negative emotions. They may even cause nightmares and flashbacks. A trauma disorder also affects a person’s behaviors and may cause anger, violent outbursts, social withdrawal, loss of interest in activities, and many other negative repercussions, such as loss of work and relationships. Trauma disorders are manageable and can be overcome with consistent, professional treatment. Post-Traumatic Stress Disorder (PTSD). PTSD is a disorder that develops after a traumatic experience, such as witnessing a murder or being assaulted. It causes flashbacks, nightmares, fear, and avoidance of anything reminiscent of the trauma. PTSD can cause significant impairment in a person’s life. Acute Stress Disorder (ASD). ASD is similar to PTSD, and it is also triggered by trauma. The reaction to trauma in ASD is sudden and much briefer than in PTSD. It may last between a few days and one month, while the symptoms of PTSD persist for more than a month. Adjustment Disorders (AD). Adjustment disorders cause excessive reactions to stressful or difficult experiences, like a death in the family or loss of a relationship. The stress in response to such a situation is greater than what would be expected and indicates a poor ability to cope. There are six types of AD, each characterized by dominant symptoms: anxiety, depression, anxiety and depression together, inappropriate behaviors, inappropriate behaviors with depression and anxiety, and unspecified. Reactive Attachment Disorder (RAD). RAD occurs rarely but is seen in children who fail to develop a healthy attachment to a parent or caregiver. This occurs when the child’s needs aren’t met. This neglect is a type of trauma. Babies or children with RAD may be withdrawn, sad, afraid, listless, and unengaged with others. Disinhibited Social Engagement Disorder (DSED). Similar to RAD, this is an attachment disorder that affects children who have been neglected or otherwise traumatized. The symptoms are less severe than RAD, but DSED does make it difficult for a child to develop relationships or to engage in appropriate ways. Other and Unspecified Trauma- and Stressor-Related Disorders. A psychiatrist may diagnose someone as having other or unspecified disorders in this category if the person has some but not all the symptoms of one of the specific condition, or if there is not enough information to make a more specific diagnosis. Dissociative disorders are not included in the chapter on trauma disorders. Although they are in their own chapter in the DSM-5, experts agree that these conditions are related to and usually triggered by trauma. Dissociative disorders are characterized by losing touch with reality and becoming disconnected from memories, thoughts, and one’s own consciousness, described by some as an “out of body” experience. Someone may develop this kind of detachment as a way to cope with a traumatic event. Between seven and eight percent of people in the U.S. will experience PTSD at some time in their lives. PTSD is much more common in women, with 10 percent experiencing it as compared to four percent of men. Women may be more vulnerable because of higher rates of sexual and domestic violence. Between 15 and 25 percent of women have experienced sexual abuse. Approximately 15 percent of Vietnam veterans have been diagnosed with PTSD. The Veterans Administration estimates that the rate among veterans of Iraq and Afghanistan operations is between 11 and 20 percent. Traumatic experiences are linked to a greater risk of mental illness, substance abuse, and risky behaviors that can cause injuries or death. Trauma increases the risk of suicide. While most mental illnesses have no definite or single cause, trauma disorders can almost always be traced to one or more traumatic experiences. For instance, many men and women returning from active service in the military experienced or witnessed traumatic events, and in some of them these experiences trigger PTSD later. Having a trauma disorder may increase the risk of having other mental illnesses or a substance use disorder. Someone with a trauma disorder, especially when it is undiagnosed or untreated, may turn to drugs or alcohol to self-medicate and escape from negative feelings. This can lead to a substance use disorder. People with trauma disorders are also more likely to have other mental illnesses, either triggered or worsened by the trauma, or simply because they have similar risk factors to trauma disorders. Experiencing trauma and being unable to cope with it in healthy ways may also predispose someone to suicide. 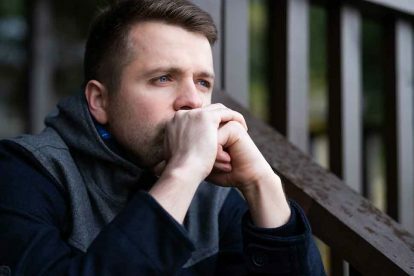 Anyone with a trauma disorder may be vulnerable to suicidal thoughts, but those with severe symptoms or who are not receiving treatment may be at the greatest risk. Trauma disorders can also cause serious complications in all areas of a person’s life. These may include damaged and difficult relationships, difficulties at work or school, lost jobs, financial problems, isolation and loneliness, insomnia, injuries from impulsive behaviors and angry outbursts, and legal troubles. While trauma disorders cause a lot of distress and impairment, they can be treated and managed. Because the symptoms can be severe and patients can be at risk of causing themselves harm, treatment in a residential setting is one of the most effective ways to address a trauma disorder. 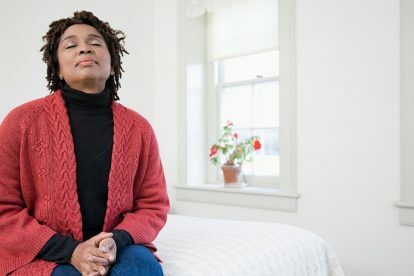 There, the patient can be treated with a variety of therapies, including cognitive behavioral therapy, which helps change negative patterns of thoughts and behaviors. Exposure therapy can also be used to help patients become desensitized to traumatic memories and to learn and practice healthy coping strategies. This is especially useful for people who experience flashbacks or nightmares. Guided eye movements through eye movement desensitization and reprocessing have been shown to help patients process trauma and react more calmly to memories of the event. Medications can also be used as an adjunct to therapy for traumatic disorders but cannot treat them alone. Antidepressants and anti-anxiety medications can help patients feel better as they learn to work through the trauma. A medication that can suppress nightmares may also be used in some cases, as well as sleep aids. The experience of trauma can be devastating and when the normal response to it extends beyond the usual timeframe or is severe, there may be an underlying trauma disorder. 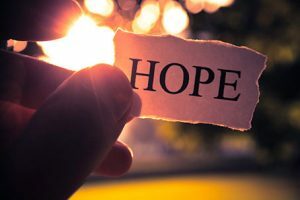 Fortunately, dedicated treatment has been shown to be effective in managing the symptoms by learning and using healthy coping strategies, changing negative thoughts and behaviors, and relying on loved ones and others for support.